One of the biggest challenges faced by e-commerce marketers is figuring out how to provide customer service online that emulates the experience of shopping in bricks and mortar stores. E-commerce businesses don’t have the benefit of having a friendly sales assistant to help your customers with each step of their shopping journey. However, product recommendation engines provide a solution to this issue; offering your customers a look at your new products and best sellers helps to provide a shopping experience like they would receive if they were walking into a store in a mall or shopping centre. In fact, you have the added benefit of being able to use your customers and site visitors’ data to present more personalized product recommendations to them, based on their engagement with your products, past purchases and other customers’ data. Combine this with email, which is the best marketing channel to directly communicate with your customers, and you’re onto a winning marketing strategy. 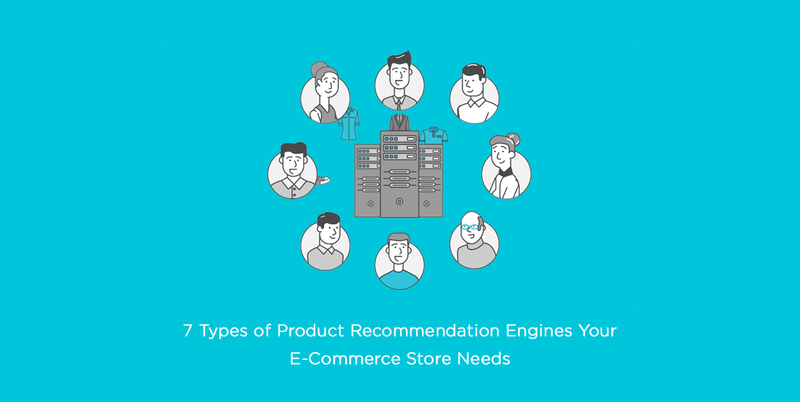 While there are a number of different options for product recommendations engines, they fall into 2 main categories: unpersonalized and personalized. I’ll explain as we go along. While I would usually recommend sending out personalized product recommendations to your subscribers, there are some instances where you’re not able to do that yet. Unpersonalized product recommendation engines are perfect for those of you who haven’t collected enough data on your customers. Because of this, they’re generally well suited to email blasts or campaigns that don’t require too much segmentation or personalization. However, even if you do have data on your customers’ engagement and purchase history, you can still send out these unpersonalized campaigns to your list. And remember: just because these particular product recommendation engines don’t require your customers’ data, it doesn’t mean you can’t make use of personalization or segmentation to make these campaigns more effective. Based on your sales data, you should know what your best selling products are. If you don’t have data on your individual customers, you can still recommend the products that are most popular among the rest of your customer base. This is obviously something you can include in your bulk newsletters, but a more effective way to utilize this product recommendation engine is to send them in your welcome emails. Because you don’t have data on your new subscribers, you don’t really have a good idea about what their individual preferences are, even with a comprehensive email collection form. Including popular product recommendations in your welcome campaigns helps to put your best foot forward, kicking off the customer’s journey with your brand. A new products newsletter doesn’t require personalization either. However, even if you do have sufficient customer data to send out personalized product recommendations, it’s still a good idea to send out regular bulk newsletters to your list about new items you have in stock. Some of your products not selling as well as you would like? Why not put on a sale? Dropping the prices off your less popular items will drive up engagement with your slow moving inventory. Email is your best friend here. Send out a series of emails throughout your sale to ensure your customers are aware of your massive discounts. Of course, if you have relevant data on your customers, be sure you personalize your sale announcement emails. If they’ve shown interest in some items that you’ve discounted (e.g. clicked on them or added them to their wish list), show them these products in your email — they’ll be much more likely to convert if they see sale items they like. As you gain more insights into your customers, based on what they engage with and purchase, you’re able to send them product recommendations that are more relevant to them. It’s important that you send your customers relevant content — 74% of them will get frustrated when you send them promotional content that has nothing to do with their interests. You’ll also benefit from email personalization too, with a 27% higher unique click rate and more than double the transaction rate of unpersonalized emails. As such, these product recommendation engines make use of your customer data to serve them relevant content that is sure to increase engagement and conversions. This product recommendation engine doesn’t actually require any in-depth data on your customers, because it’s based on items that someone engaged with when they were browsing your site. As part of a retargeting campaign, this is perfect for browse abandonment emails. Your site visitor has expressed interest in the items they were looking at, but might have gotten distracted while shopping. It might just take them a quick email reminder to remind them, potentially leading to a conversion. Similar to ‘recently viewed’, this takes into account what products your site visitors have been engaging with. However, this product recommendation engine takes it up a notch by also recommending other items your customers might like. 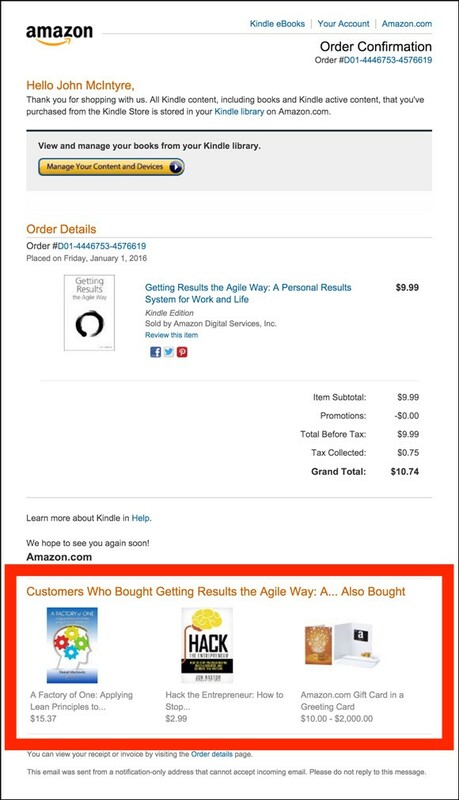 These recommendations obviously require some product data — specifically relating to the purchasing habits of other customers. This can also take your browse abandonment emails up a notch. Your site visitor might have left your store because they didn’t find exactly what they wanted. So instead of showing them what they’ve already looked at, how about showing them items that others bought after viewing the same products? Showing customers items that similar customers have bought is a great way to cross-sell and generate more sales by recommending complementary products. This is probably most effective when sending these product recommendations in post-purchase emails, especially in your order confirmation emails. Your customer might not purchase the recommended complementary product immediately, but they’ll still feel like it’s important to eventually purchase the item to get the most out of their latest purchase. To pull off personalized product recommendation engines well, you require sufficient insight on your customers and their needs. While this requires the most data, such as the customer’s activity, engagement and purchase history, it’s well worth the effort. Targeted content, rather than best sellers or new products, is much more relevant to your subscribers, and this will be reflected in your transaction rates. 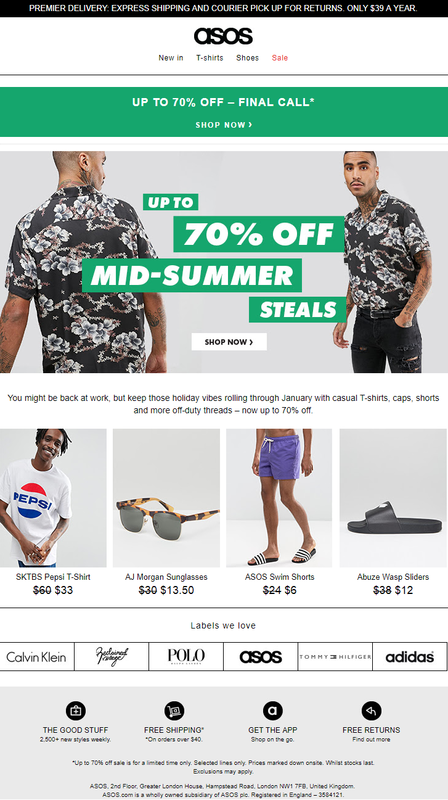 These personalized product recommendations can be applied to most of the campaigns I’ve mentioned already, such as welcome emails (if your new subscriber has visited your store already), post-purchase emails, browse/cart abandonment emails or even your bulk newsletters. 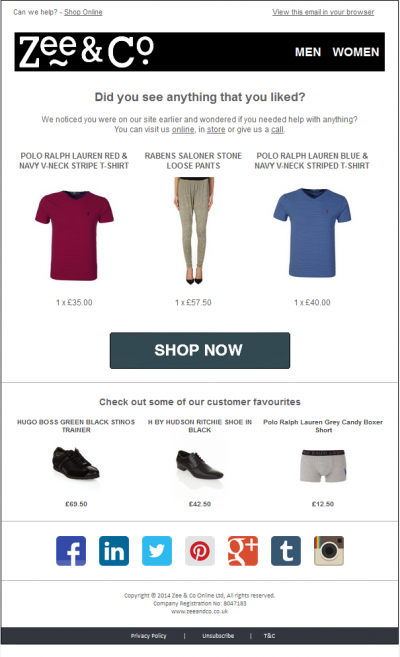 Including tailored product recommendations will help to give your email campaigns a personal touch. I see a lot of beautiful emails in my inbox. But what’s the point if none of them show me products I might be interested in buying? 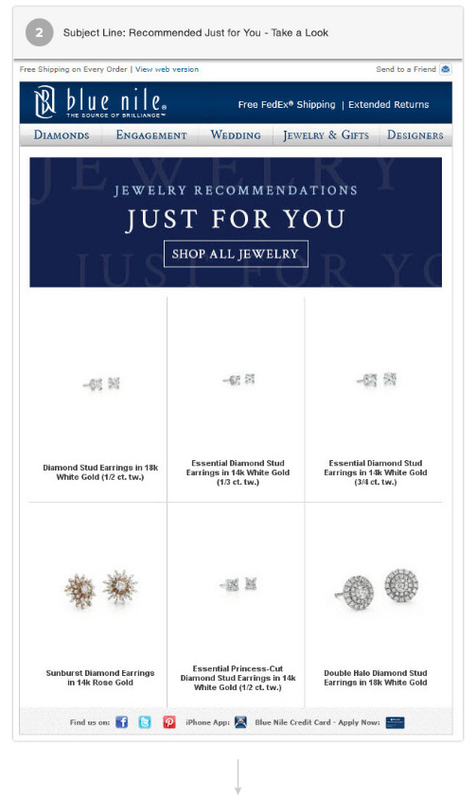 While we’re always suggesting that you personalize every email you send out, different product recommendation engines are well suited to different email campaigns. Not only that, but they can assist you to easily curate product recommendations in your different emails. So whether or not you have a lot of insight into your individual customers’ wants and needs, there are a number of different product recommendation engines available for you to use. Your one-stop source for e-commerce insights and state-of-the-art marketing knowledge.